"Any informed borrower is simply less vulnerable to fraud and abuse." In the broadest sense, fraud is an intentional deception made for personal gain. It's a criminal violation of both civil and criminal laws. For purposes of this web site we will focus on fraud associated with real estate and related finance, usually called "Mortgage Fraud". The FBI defines "Mortgage Fraud" as "the intentional misstatement, misrepresentation, or omission by an applicant or other interested parties, relied on by a lender or underwriter to provide funding for, to purchase, or to insure a mortgage loan." It involves many activities with the ultimate objective usually to get money (loans) to buy, sell or refinance real estate. Mortgage fraud is not the same as predatory lending. Mortgage fraud is when financial institutions are defrauded; whereas predatory lending is when lenders willfully mislead or deceive the consumer. Both are illegal and immoral. If we begin to turn the other way when people are committing obvious fraud, we place the entire system at risk. Homes will cost more money, loans will become even less accessible, and someday our children and grandchildren will no longer be able to afford their own homes. Even schemes to "enhance" the credit of borrowers, while not always technically illegal, are still wrong. No matter what they say, using trickery and schemes to beat the system will eventually catch up with all of us. There will be a cost, there always is. The cost will be higher money costs for everyone. Borrowers need to earn credit scores that honestly reflect their ability to pay back a loan, not fraudulently manipulate authorized user credit card accounts. There are basically two "types" of mortgage fraud: fraud for housing and fraud for profit. The distinction is important. Fraud for housing is usually when the borrower is trying to get a loan, or a bigger loan, to buy (or refinance) a house for their own use. The intent is usually to repay the loan. Fraud for profit is usually a larger, more complex scheme, involving numerous parties, that defraud lenders of large sums of money. The intent is rarely to repay the money, but to continue the fraud as long as possible, and then disappear. Occupancy fraud, where the borrower buys an investment property, but claims they will live there. This promotes speculation, and may give the borrower a lower interest rate than the loan deserves. Employment/income fraud is where borrowers overstate income to get a bigger loans, or get loans that they're not qualified for, and usually can't repay. This facilitates speculation and helps create "bubbles". Failure to disclose liabilities, where borrowers hide or deflate their liabilities. This is important because debt-to-income ratios are a key underwriting criterion. Hidden liabilities illegally allows borrowers to get bigger loans, further reducing collectibility, and fueling real estate speculation. Mortgage fraud rings are complex schemes that involve multiple co-conspirators who cheat lenders out of large sums of money. Variants include straw borrowers whose identities and credit is used, dishonest appraisers who knowingly and significantly inflate the appraisals on properties, crooked attorneys who fabricate closing documents, and dishonest property owners. If undetected, these frauds usually cause lenders to loan money on properties where the loans are more than the property is worth. The crooks usually intend to disappear without making mortgage payments. Appraisal fraud is when a property's value is deliberately overstated, to increase the amount of money the borrower can get from cash-out refinances, or to justify a larger selling price. Crooked appraisers may inflate the value, or the appraisals may be forged by someone else. Cash-Back Schemes are when the buyer and seller, or the buyer and real estate agent collude to deceive the lender about the real sales price. The seller gives the buyer a secret cash rebate. The mortgage is not secured by the true property value. 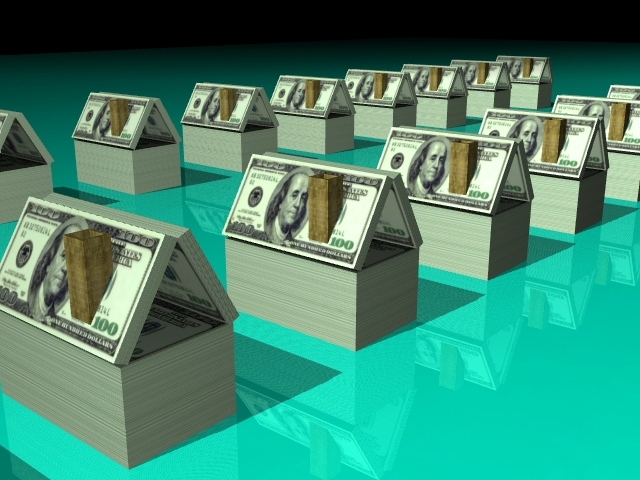 "Get Rich Quick" real-estate courses usually rely promote this scheme. Shotgunning is when someone takes out multiple loans on the same property at the same time. By the time public land records catch up, the lenders have made loans with no collateral, and the perpetrators usually disappear. Identity Theft is when the crooks use the identity of an unknowing person to buy property or get credit. These are usually large, professional criminal enterprises. Mortgage fraud creates higher costs for everyone, not just the people and organizations directly involved. When financial institutions and investors ("Lenders" for purposes of this narrative) lose money, they charge higher fees or interest to everyone else. Part of their "costs" involves making reserving for losses on some loans they make. In addition to all the other reasons that Lenders lose money on some loans, and notwithstanding the current collapse of the real estate and credit markets, fraud greatly exacerbates loan losses, in ways that are difficult to predict. Mortgage fraud usually results in foreclosures, as Lenders seek to recover as much as possible from impaired loans, and quantify their losses for purposes of making claims against the alleged perpetrators, and title insurance companies. Mortgage fraud also damages owners and renters of properties near the ones associated with mortgage fraud. Fraud artificially inflates property values, causing taxes to increase. It artificially inflates local real estate values, which later rapidly deflate. Financial fraud is complex and time-consuming to investigate and prosecute. It competes for scarce resources from already over-burdened prosecutors and the court system. So clearly, mortgage fraud is everyone's problem. We all pay for it. So if there was less mortgage fraud, we would all pay less for credit, property values would be more stable, and our criminal justice system could devote more resources to other crimes. There isn't a single answer. There isn't even a series of solutions that will stop the problem. Fraud is as old as commerce, and it will always be with us. All we can do, in the context of modern mortgage fraud, is try to reduce the number of instances of mortgage fraud, and reduce the damaging effects of each instance. Part of this is deterrence. Solutions include greater vigilance on the part of everyone in the mortgage industry, earlier and more aggressive prosecutions, and better educating the public that even innocent misstatements on loan documents is wrong, and dangerous. First, don't be a part of it. Don't let anyone convince you that it's okay to "fudge" loan documents. It's criminal, and you could be prosecuted. At a minimum, if detected, it could result in the inability to renegotiate a loan that you're having difficulty paying, because "workout" loan files receive much more scrutiny than the original loans. (Not because it's supposed to be this way, but because of the realities of the loan origination business, especially if you used a broker, or cast your loan during the "go-go" days of 2005 and 2006.
Review all the documents associated with your loans, to insure their accuracy, and that nobody else altered anything. If fraud is discovered, and it is not clear that you had no involvement, you will be subject to a great deal of scrutiny, and legal expenses, even if you did nothing wrong. So in addition to not participating in any white lies yourself, make sure nobody is doing it on any transactions involving you. The Federal Bureau of Investigation and the Mortgage Bankers Association have jointly produced a Mortgage Fraud Warning Notice. This Warning Notice makes clear that mortgage fraud is a federal offense with serious penalties, and will be fully investigated and prosecuted by the appropriate authorities. The FBI and MBA strongly encourage lenders to consider integrating the Warning Notice into their loan processes. As a voter, you should also support more funding for law enforcement (see below). Fraud hurts everyone. So when you suspect it, either in a transaction where you're an interested party, or if you learn about it on deals that don't directly involve you, report it. You can do so anonymously, if you don't want to "get involved". If you suspect mortgage fraud, you can report it, even without getting involved. There are many agencies available to help you. Report Mortgage Fraud provides a compilation of national resources, and New Jersey Mortgage Fraud provides local resources. Many "white collar" crimes, like mortgage fraud, are not prosecuted, because financial crimes are expensive and time-consuming to investigate and prosecute. The police and prosecutors are faced with many more "opportunities" than they have the resources to pursue. Ultimately a prosecutor must make pragmatic decisions about which cases to pursue, because they can't investigate and prosecute them all. So usually only the biggest, boldest crimes are investigated and prosecuted. The ones that hit the front page of your local newspaper. Even professional mortgage fraud rings may escape prosecution, because of the complex nature of the crime. The perpetrators know this. There is no deterrence. They are emboldened to perpetrate these crimes, and can do so for longer periods of time before they are stopped. One answer to this problem is to support greater law enforcement. When asked, everyone is in favor of "law and order". It's like asking people if they want to lose weight. The hard part is having the determination to do something about it. In the case of weight loss, you have to eat less and exercise more. In the case of safer communities, we have to be willing to get involved, and we have to tell our elected officials that we want more police, more prosecutors, and more judges. We must have the will, as taxpayers, to pay for better law enforcement. To learn more about the benefits to you of increased resources for white collar criminal deterrence, see Funding for Law and Public Safety. Cherokee is more familiar with mortgage fraud than most investors, because we encounter it much more often. We're in the business of acquiring and repairing non-performing assets. A disproportionate number of "bad loans" and abandoned properties are associated with two kinds of "impairment", environmental pollution and for profit mortgage fraud. Cherokee goes out of our way to look for instances of mortgage fraud rings. We've become expert at mortgage fraud investigations. Members of our teams include former federal prosecutors, county prosecutors, financial crimes investigators, forensic accountants, fraudulent loan recovery managers, and attorneys experienced at civil litigation associated with asset recovery. We enjoy close working relationships with law enforcement agencies at the federal, state and local levels. We've been in their shoes. We usually know what they will and won't prosecute. We know how to present a package of information to law enforcement that will enable them to clearly and quickly determine the viability of a referral. Cherokee fights mortgage fraud as part of our for-profit business model. However our efforts benefit everyone, because we help reduce fraud, we help lenders recover more of their money, and we provide a great deal of investigative work to law enforcement officials. As a result of referrals made by Cherokee to law enforcement agencies, a number of financial crimes have been prosecuted that might not otherwise have been resolved. In some cases it was because the amounts were too small (under $75,000) to justify initial investigations, but in several instances it was Cherokee that first discovered the crimes. We meticulously investigate each matter, gathering evidence using many of the same techniques that our investigators used when they were law enforcement officials. As a result of Cherokee's tireless investigations, we have helped reduce the burden on law enforcement agencies by providing our own due diligence in a way that facilitates more and faster white collar criminal prosecutions. Cherokee is committed to being an agent for positive change. This includes facilitating greater prosecution of mortgage fraud. If you become aware of mortgage fraud, please report it - in New Jersey, or other states.